Description: Borana woman filling her jerrycan with drinking water she have just collected from a traditional well. Traditional wells are being maintained by international ngo's. 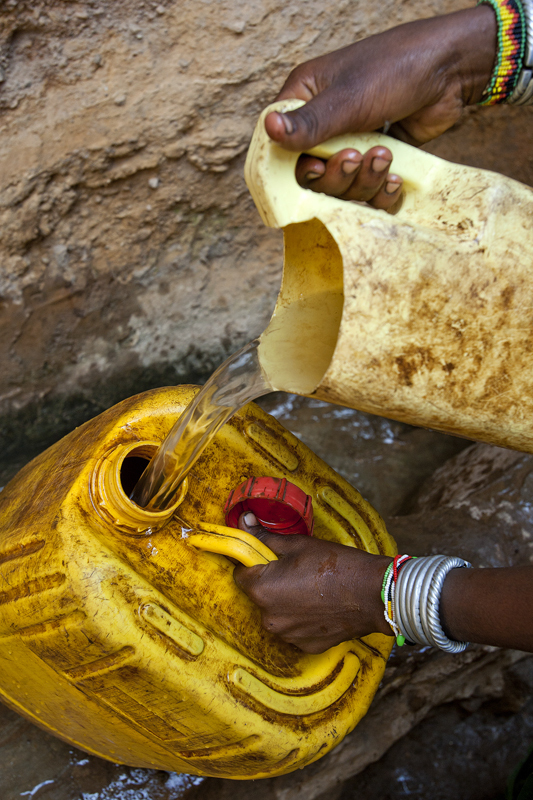 Caption: Borana woman filling her jerrycan with drinking water she have just collected from a traditional well. Traditional wells are being maintained by international ngo's.